Follow our blog to keep up with all the latest developments about Cayman Islands condominiums for visitors to the Cayman Islands. We offer 2, 3 and 4 bedroom units only — Perfect for families and larger groups. We have No 1 bedroom units. The Cayman Club is a premier high-end condominium complex located in the heart of Seven Mile Beach with the most beautiful, white sandy beach in all of the Caribbean. The Cayman Club is located just 10 minutes from the airport and is surrounded by five star restaurants, quality retail shopping, and so much more. It's located just a few properties down from the brand new Ritz Carleton ultra exclusive resort and hotel. It is walking distance to the best dive and snorkel sites. 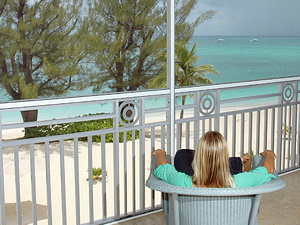 There is no better location in all of Grand Cayman. With almost 200 feet of beachfront property the views of palm trees and soft white sand overlooking crystal clear blue water is spectacular. 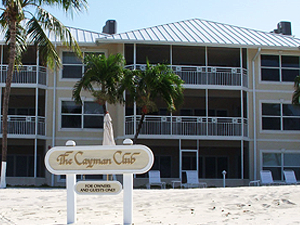 Then Cayman Club is the place for large families, reunions, honeymoons, or intimate vacations for just a few days. So come and stay where hundreds of families, dozen of CEO's and celebrities have kicked off their shoes, put up their feet, and tanned under the warm Caribbean sun.The Cayman Club is the only place to stay.